2018 Ford Aspire is now available in India from INR 5.55 lakh (ex-showroom Delhi). The range starts with Ambiente variant with a petrol engine and goes up to INR 8.49 lakh for top-spec automatic petrol variant. The diesel range falls between INR 6.45 lakh and INR 8.14 lakh. 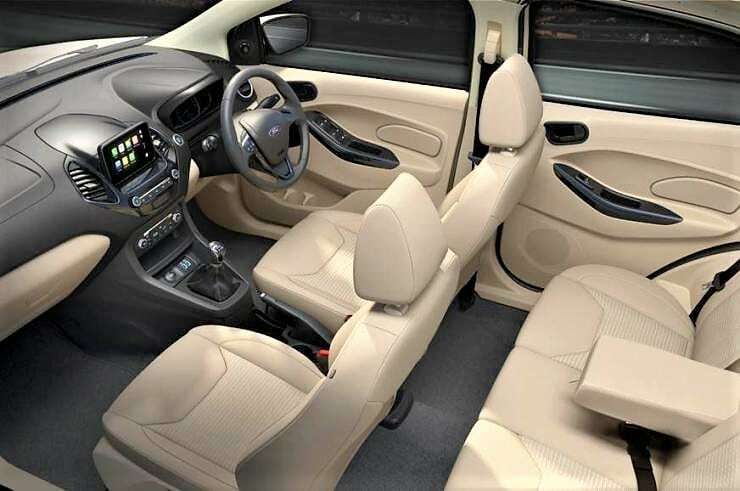 The base variant comes with dual front airbags, rear parking sensors, ABS with EBD, manual AC and front power windows. Moving to the trend trim, Aspire gains all four power windows, music system with speakers, remote key-less entry and rear center armrest. Trend+ adds fog lamps and 7-inch touchscreen infotainment system to the package, along with automatic AC and rear defogger. The top spec model comes with six-airbags, Ford Sync 3 and other added goodies on the car. Ford is using the new 1.2L, 3-cylinder engine on the updated model, producing 96hp max power and returning 20.4 kmpl of impressive mileage. The 1.5L, four-cylinder diesel engine is still good for 100hp of maximum power. It now claims 26.1 kmpl of eye-popping mileage. 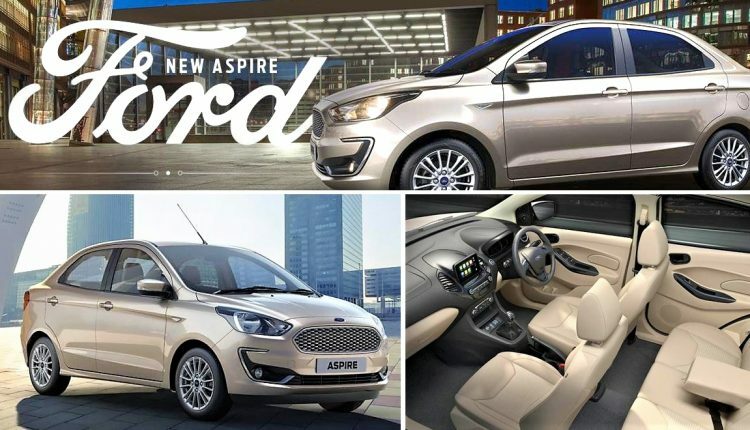 The automatic variant of Aspire comes with 1.5L, 3-cylinder engine with a six-speed gearbox, producing 123hp of maximum power and claiming 16.3 kmpl of mileage. 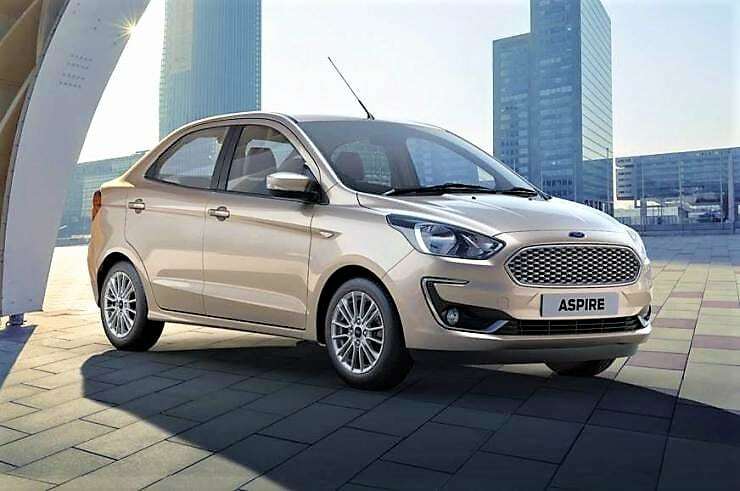 Ford Aspire rivals Maruti Dzire, Honda Amaze and all other compact sedans on offer in India. Offering six airbags and powerful engine options, the Aspire proves itself to be the most value for money compact sedan on sale in the country. The effective pricing has made the flagship variant more affordable by INR 20,000.